Independence Monument, Phnom Penh, Cambodia, June 17, 2015 (photo by Flickr user phalinn licensed under the Creative Commons Attribution 2.0 Generic license). 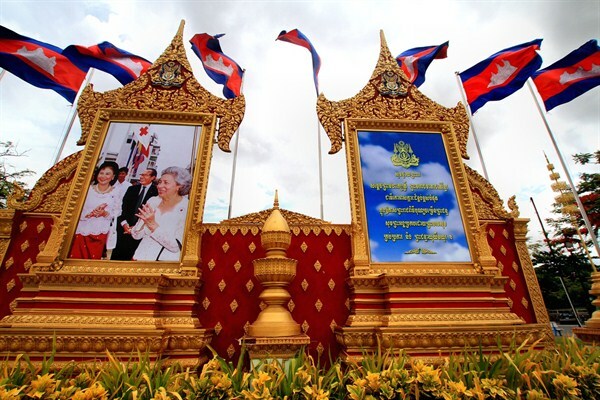 Cambodia’s July 2013 national elections were a watershed moment in the country’s recent political history. Amid charges of electoral fraud, long-ruling Prime Minister Hun Sen’s Cambodian People’s Party (CPP) was declared the winner of the polls by the National Election Committee. Despite the irregularities, the opposition Cambodian National Rescue Party (CNRP) still saw its support surge, winning 55 out of the 123 seats in parliament. The result represented an unprecedented loss of 22 seats for the CPP and prevented it from wielding the two-thirds majority necessary to amend Cambodia’s constitution. Following the announcement of the results, anti-government demonstrations in the capital, Phnom Penh, reached an estimated 100,000 people. Corralled by security forces, barricades and barbed wire, protesters marched peacefully through the city’s large avenues. Their many grievances included state impunity, corruption, deforestation, forced evictions and land grabbing. But the CNRP’s threat to boycott the national assembly and continued claims that the elections were in effect stolen by the CPP served to band together the multitude of complaints into a single narrative with clear demands: new elections, the overhaul of the election committee and Hun Sen’s resignation. In January 2014, in response to the unrelenting street protests, government security forces cracked down, suppressing the demonstrations, arresting dozens of activists and closing Freedom Park, which had become a rallying point for the opposition. Almost overnight, the protests were subdued. 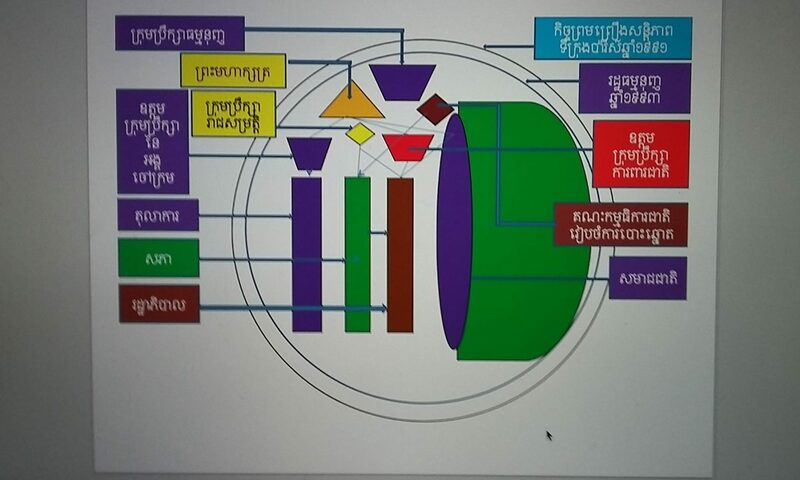 Without a viable endgame on the streets, the CNRP had few real options but to conclude a negotiated settlement with the CPP in July 2014 and to take its seats in the National Assembly. Since then, the political stand-off has entered a state of limbo. But while the opposition has had mixed success in advancing its reform agenda, the lack of clear progress does not necessarily benefit Hun Sen and the CPP, which could see their support further eroded in the event they do not respond to the gathering popular demand for change. As local and national elections loom in 2017 and 2018, respectively, Cambodia’s near-term future is uncertain. The CPP has provided few, if any, signs that it intends to make a peaceful transition of power possible, if the elections make one necessary. Indeed, Cambodia’s recent history gives ample reason to believe that a win by the opposition may only lead to larger-scale unrest and violence. To win at the ballot box, the CPP will need to pull off a tricky combination: erode the opposition’s base of support; push through social and economic reforms—particularly in the areas of education, health and commerce—to win back the electorate; and close the space for dissent. However, in the short term, these tactics are likely to create other problems for the CPP. Demographic trends suggest that voters’ expectations of the state will continue to intensify. The need for alternative outlets to let off pressure will only increase. Tamping down dissent is likely to be met with blowback, domestically and abroad. Many of the meaningful social and economic reforms will require breaking up or bypassing patronage networks. This would risk undermining loyalty within the CPP in uncertain times when loyalty is most critical. As a result, Cambodia’s stability in the medium to long term will ultimately rest on the CPP leadership’s ability to prepare state institutions for a peaceful transition of power. In order to do that, Cambodia will also need to diversify its economy, strengthen rule of law and find ways for China to continue to play a constructive role without creating further dependency. Clearly, this will be a tall order to fill. Hun Sen, who led Cambodia out of civil conflict and navigated the CPP into a post-communist era, has been at his country’s helm for 30 years. After two decades of increasing success at the ballot box, the 2013 national elections surprised Hun Sen and the CPP, which found itself within almost 300,000 ballots of losing the popular vote to the CNRP. The CPP went from 90 seats in the National Assembly to 68. The CNRP holds the remaining 55 seats.